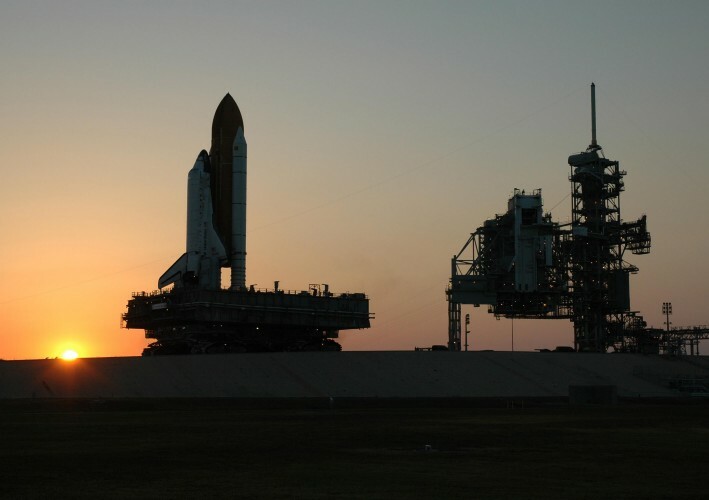 Explanation: On July 4th, the space shuttle orbiter Discovery rocketed into space on mission STS-121. Now docked with the International Space Station, Discovery orbits planet Earth at about 27 thousand kilometers per hour. 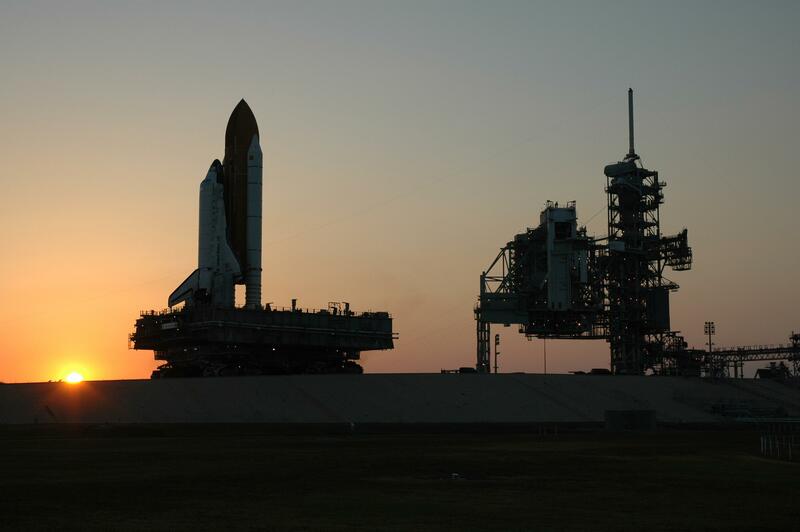 But in this dramatic sunset view taken in May, Discovery is approaching the service structures at Kennedy Space Center's launch pad 39B at the blinding speed of (less than) 2 kilometers per hour. Of course, the orbiter, booster rockets, and external fuel tank ride on one of NASA's workhorse crawler transporters. Built for the Apollo program to carry the giant Saturn V rocket, the crawler transporters have seen four decades of service.